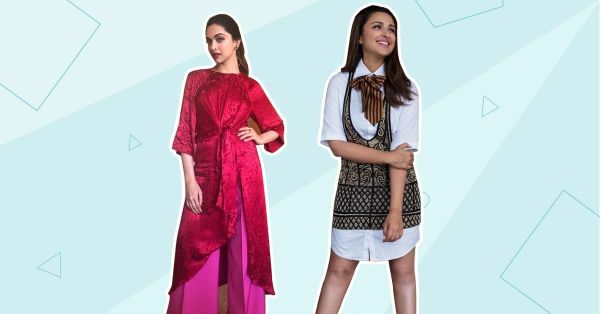 9 Bollywood Celeb Stylists You NEED To Follow Right Now! Ever wondered how our Bollywood divas are able to absolutely stun at red carpet events, with no sweat at all? Two words: celebrity stylists! These Santa’s elves are the reason your favourite fashionista’s look is on point, from the outfits right down to the accessories and makeup! And call it your lucky day because these stylists showcase their work on Instagram loud and proud for the whole world to see! We have brought you a list of top celebrity stylists you need to follow on Instagram. From curated celeb looks to gorgeous Insta aesthetics of the stylists themselves, these accounts will give you fashion goals every day! Associated to fashionistas like Kangana Ranaut, Alia Bhatt, Athiya Shetty and many others, Ami Patel and her uber-feminine outfits can be deemed as any woman’s guilty pleasure! Her Instagram page will open you up to a plethora of contemporary one-pieces, smart pantsuits and subtle ethnics all in one go! Batra’s brand of celebrity styling majorly consists of old-school traditional looks with sporadic appearances of contemporary touches on statement ethnics! With fashionable clients like Parineeti Chopra, Tamannaah Bhatia, Shilpa Shetty and much more, her Insta page is a sight to behold with some of the freshest looks sported in the industry right now. 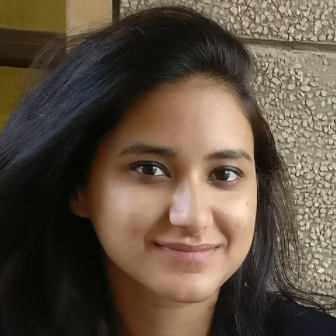 Nathani’s work with starlets like Deepika Padukone and Shraddha Kapoor will school you in what’s hot for the season! From styling her clients in naked dresses to denim staples and the posts of her own personal OOTDs, Shaleena’s Instagram is a lookbook for fresh fashion! Did we mention she is behind some of Deepika’s top airport looks? The first sisters of Bollywood fashion, Sonam and Rhea Kapoor have made a name for themselves as one the most stylish celebrities in the game right now! We are all familiar with Sonam’s ridiculously voguish Instagram account, which can be attributed to Rhea’s keen sensibilities in dressing up her sister! As far as Rhea’s Insta goes, it will speak directly to your witty and sarcastic soul! Tanya’s kitty of celebrity clients consists of an eclectic mix with the likes of Katrina Kaif, Ileana D’cruz, Karishma Kapoor, Taapsee Pannu and many others. These celebs all have such different style and appeal that showcasing her own renditions of their personalities is a job well done in our book! A complete package, Rufai’s Instagram account boasts of celebrity stylish looks, travelogues, OOTDs, food posts and a quirky ‘slice of life’ aesthetic that will make you wish you were her BFF! Dressing up leggy lass Anushka Sharma in the most baller outfits, Allia’s young and rad Instagram theme will coach you on how to be cool on social media! A seasoned celebrity stylist, Adajania’s Instagram will get you to the front seats of the most happening fashion events of the season. Working with names like Aishwarya Rai Bachchan, Jacqueline Fernandez and Kriti Sanon, Shroff is a much sought after collaboration for the big guns in Bollywood! If you are a fan of simple looks tailored to the fashionable diva it's intended for, Sharma’s page is the one to be at! Dressing up Bollywood fresher Bhumi Pednekar in daring silhouettes and dusky goddess Esha Gupta in offbeat pop colours, she deserves to be on this list! We here at POPxo love Aditi Rao Hydari’s brand of ladylike gowns and co-ord sets! Her looks with ruffled numbers, flowy silhouettes, and soft colours right down to the accessories and makeup, gives us life every day! And the person behind all this goodness? Sanam Ratansi! We hope you are just about hitting that ‘follow’ tab?